The 12th season of Food Network‘s competitive Food Network Star TV series premieres Sunday, May 22nd, 2016 at 9:00pm ET/PT. Giada De Laurentiis and Bobby Flay are returning to host Food Network Star, season 12. Thirteen contestants will compete for the grand prize — a Food Network TV show of their own. The Food Network Star season twelve winner will be crowned on Sunday, July 31st. New this year, Food Network Star: Comeback Kitchen, co-hosted by Valerie Bertinelli and Tyler Florence, premieres on Sunday, May 8, at 8:00pm ET/PT, with seven former Food Network Star finalists returning to compete over three episodes for a spot as the 12th finalist within season twelve’s premiere. 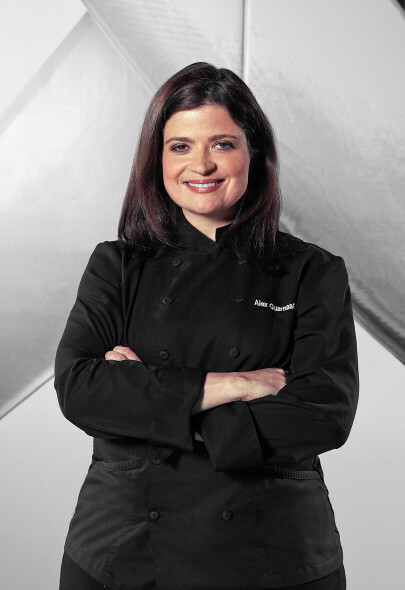 Web-series Star Salvation, hosted by Alex Guarnaschelli and last season’s Food Network Star winner Eddie Jackson, returns again to give one eliminated finalist the opportunity to rejoin the competition during the season. 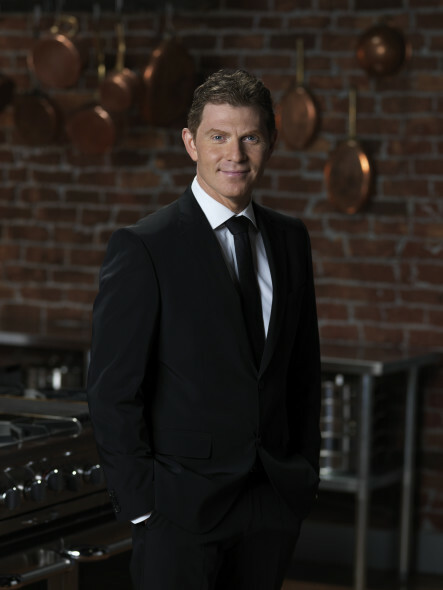 NEW YORK – March 31, 2016 -Food Network’s competition series Food Network Star returns for a twelfth season on Sunday, May 22nd at 9pm ET/PT, with culinary icons Giada De Laurentiis and Bobby Flay looking to discover the next promising food television star. Thirteen talented culinary hopefuls are put through the ringer this season, battling it out in challenges that not only test their kitchen skills but also their on-camera chops, to find out who has the talent and charisma to follow in Giada and Bobby’s footsteps and win the ultimate prize: their own Food Network show. New this year, Food Network Star: Comeback Kitchen, co-hosted by Valerie Bertinelli and Tyler Florence, premieres on Sunday, May 8th at 8pm ET/PT, with seven former Food Network Star finalists returning to compete over three episodes for a coveted spot as the thirteenth finalist within season twelve’s premiere. Web-series Star Salvation, hosted by Alex Guarnaschelli and last season’s Food Network Star winner Eddie Jackson, returns again to give one eliminated finalist the opportunity to rejoin the competition during the season. The Food Network Star season twelve winner will be crowned on Sunday, July 31st at 9pm ET/PT. Starting May 8th on Food Network Star: Comeback Kitchen, seven unforgettable former finalists enter the Star kitchen for another shot at stardom. When co-hosts Valerie Bertinelli and Tyler Florence introduce the first challenge, the competitors are forced to face their pasts by attempting to redeem the dish that was the downfall in their respective season. The alumni must then shoot a one minute “Where Are They Now?” video, updating viewers on what they’ve been up to and how they’ve improved since their Food Network Star appearance. Through three episodes, Valerie and Tyler determine who has earned a spot on the new season of Food Network Star. In the May 22nd season premiere of Food Network Star, the finalists must shoot a 30-second screen test to give viewers a quick culinary preview of what they are all about. The videos debut during a VIP event at a luxury theater in Los Angeles in front of an audience; but when Bobby and Giada surprise the finalists with news that the Food Network Star: Comeback Kitchen winner will also join the competition, how will they handle this twist? Comeback Kitchen hosts Valerie Bertinelli and Tyler Florence help Giada and Bobby decide who will be the first to be sent home. During the season the finalists encounter challenges that not only test their culinary skills, but also their on-camera presence, from trying their hand at delivering food reports for Entertainment Tonight co-hosts Nancy O’Dell and Kevin Frazier, to shooting a promo for their own show, the finalists are challenged to not only create great food but great TV. The finalists competing this season are: Rob Burmeister (Staten Island, NY); Erin Campbell (Woodbury, MN); Damiano Carrara (Moorpark, CA); Aaron Crumbaugh (Spokane, WA); Tregaye Fraser (Atlanta, GA); Yaku Moton-Spruill (San Francisco, CA); Melissa Pfeister (Los Angeles, CA); Ana Quincoces (Coral Gables, FL); Monterey Salka (Nashville, TN); Joy Thompson (Thomasville, NC); Havird Usry (Augusta, GA); Jernard Wells (Atlanta, GA), and the winner of Food Network Star: Comeback Kitchen. Comeback Kitchen competitors battling it out to join the new season are Penny Davidi (season 7); Matthew Grunwald (season 11); Martita Jara (season 8); Brianna Jenkins (season 6); Chris Kyler (season 10); Michele Ragussis (season 8) and Dominick Tesoriero (season 11). Throughout the season, Bobby and Giada are joined by special guests who help determine who has what it takes to be the next face of Food Network including, Anne Burrell, Food Network Magazine Editor-in-Chief Maile Carpenter, Haylie Duff, Jesse Tyler Ferguson, Guy Fieri, Duff Goldman, Hannah Hart, Robert Irvine, Ali Larter, Katie Lee, Tia Mowry, Lorraine Pascale, Rev Run, Aarti Sequeira, Donal Skehan, Trisha Yearwood and Internet stars Rhett & Link. Web series Star Salvation returns on Sunday, June 12th and goes live just after Star’s east coast airing. Available on FoodNetwork.com/Salvation and hosted by last season’s Food Network Star winner Eddie Jackson and Iron Chef Alex Guarnaschelli, the six-episode culinary contest gives one eliminated finalist a chance to re-enter the competition. The winner will re-enter Food Network Star on Sunday, July 24th. This season once again features a fully-integrated, multi-platform partnership with Volkswagen, woven throughout the season and helping to drive the action of this extraordinary competition. A Food Network Star must excel on many fronts, and having the right partners, tools and expert guidance in place allows this season’s group of finalists to compete at the level they need in their bid for stardom. For more Food Network Star, fans can visit FoodNetwork.com/Star all season long for exclusive interviews, video, blogs, behind-the-scenes footage, photo galleries and more. Fans can also connect with each other and the show’s stars on Facebook at Facebook.com/FoodNetwork and on Twitter with the hashtag #FoodNetworkStar. Food Network Star is produced by LEG/Triage Entertainment. What do you think? Are you a fan of the Food Network Star TV show? Do you plan to watch the twelfth season? More about: Food Network Star, Food Network Star: canceled or renewed?, Food Network Star: Comeback Kitchen, Food Network Star: Comeback Kitchen: canceled or renewed?, Food Network TV shows: canceled or renewed?, Star Salvation, Star Salvation: canceled or renewed? I am disappointed with the 2016 Next Foodnetwork Star. I have been watching The Foodnetwor k channel when Sara Moulton was on. The whole Foodnetwor k Channel is no longer watchable. It should be called “The Foodnetwor k Challenge/Reality T.V. Nonsense”. Thanks to Bob Tushman General Manager of Food Network and Susie Fogelman Senior VP Marketing for this. Please spare me of that fake giada smile and tight clothes, this isn’t a Calvin Klein commercial!! !